I really wanted to play I Left My Wallet in El Segundo in the last episode. This is why I didn’t. When I start working on an episode I usually begin with a working title. It helps me organize my thoughts and usually becomes the actual title of the episode. The working title of the last episode was “I Left My Wallet in El Segundo,” a cultural reference to a Tribe Called Quest song and also a big beat remix by Fatboy Slim. I really wanted to play that music as I faded in or out in the same way that you hear some cultural reference or play on words in the bumper music between stories on your favorite radio show. Let me back up a little bit and give you a little disclaimer. I am not a lawyer, I am not giving you legal advice, I am just sharing an anecdote about something I chose not to do. I researched the state of the art in playing and licensing copyrighted works on a podcast. It’s been close to a decade since I last thought about music in podcasts — back when Brian Ibbott came to a licensing agreement with ASCAP and BMI. Those are the two largest artists rights organizations, at least in the US. They make sure that artists get paid when someone plays their song. I started my search by looking for either version of the song on both ASCAP and BMI’s websites. A search based in the title of the track didn’t return anything. After a little digging I was able to find it by searching by artist at ASCAP. Okay, so now I have something I can license. I then drilled down in to what license could i acquire from ASCAP that would let me play a few seconds of a specific song on my podcast. It turns out that a Play license designed for small websites with fewer than 30,000 visits and less than $2000 of revenue a month fits the tinycast well. I filled out a form on their website. I could be covered under a non-interactive license for just $242 a year. If that was all it took I probably would have paid up and played the song. I really wanted to play the song. But it turns out that this is just the tip of the licensing iceberg. I like to think of what I’m doing as making radio. The transmission is a little different — downloading something to a browser or a device instead of listening to it over the air. It turns out that little difference of offering the podcast for download changes everything from a licensing perspective. See now I’m providing a work for download and distribution. That’s a whole other license that I also need and it’s called a mechanical license. The going rate for one of these licenses, usually available from the Harry Fox Agency, is 9.1 cents per download. This can be done in self service fashion by visiting songfile.com. If that was all I needed to do I was seriously considering doing it. Right now each episode is only download a few times so it would be easy to pay for. I didn’t want to have to pull a show from the archives if it started to get too expensive, but I was thinking about it. But we’re not even done yet. The last thing I needed (at least I think it’s the last thing) was a master use license that gives you the right to use a specific recording of a song. This license needs to come from the person or entity that owns the recording itself. This is often a music label. Several guides suggested using the contact information listed in the CD liner notes as a starting point for obtaining this license. This is where I hope you know what a CD is. That is when I realized I wasn’t going to be able to play the song. This is where pretty much everybody realizes they’re not going to be able to play the song. I could have hummed or otherwise performed my own rendition of the song for a mere $242 plus 9.1 cents a download, but honestly you don’t want to hear that and it’s not what was in my head. It hardly seemed worth it. I’ll link up a couple of guides that have a little more background on the topic in the show notes. Actually using using music in your podcast will have to wait for another day. This is Matt Croydon, still not a lawyer, for the tinycast. On the web at tinycast.in and on Twitter @thetinycast. I used Apple Pay for the first time earlier this week and wanted to share some thoughts and observations about it, including the transaction itself. Update: I’ve used Apple Pay twice at McDonalds since writing and editing this episode (my son and I were on the road to and from an airshow). Their transaction experience definitely seemed nicer: no credit or debit and no rewards card. I know they’re optimizing for transaction throughout but it actually results in a nicer experience. The other night I had a legitimate excuse to use Apple Pay, a new payment service from Apple that uses near-field communication — or NFC — to use your iPhone 6 or 6 Plus as payment at participating stores. I had been looking for an excuse all week: do I need something from the Apple Store? No not really. Can I make it over to Whole Foods for lunch? It didn’t happen. The other night was different though: my wife had a cold, and we were all out of nighttime cold medicine. This was at least a plausible reason to head down the street to Walgreens, which just happens to be an Apple Pay store. I only know that because I looked it up on Apple’s site. Right now there are two signifiers that will tell you if a point of sale system works with apple pay. The first is obvious and involves the Apple logo in black followed by the word Pay. The second signifier is less obvious: it’s sort of the wi-fi symbol on its side in an oval and there’s a hand holding a rectangular chip. That mark, affectionately known as The EMVCo Contactless Indicator is administered by the GSM Association and identifies a point of sale system as compatible with a whole bunch of stuff that you don’t care about as a consumer. As more companies roll out technologies to support Apple pay I imagine we’re going to see this mark more often than the Apple logo. I wanted to share a couple of thoughts on the experience itself, which was simultaneously magical and almost non-existent. There’s a demo video on Apple’s site if you want to know how it works, but it’s the kind of experience that Apple excels at: you don’t need a demo, you don’t need documentation, it just works the way it should. The interesting thing is that while the Apple Pay portion of the transaction happened so quickly that you might miss it — the other night it was a beep and a chime — Apple doesn’t control the rest of the transaction experience. That means that I still had to enter my phone number for my rewards card, and because I had linked up a debit card I had to chose between credit and debit as well on the payment terminal itself. Apple Pay is obviously new and novel, but Contactless payments aren’t. This really feels like how we should have been paying for things all along. I’d love to see this same experience applied to giving money to friends or to iOS driven point of sale systems. I’m seeing those a lot these days. From the future, this is Matt Croydon for the tinycast. On the web at tinycast.in, on twitter @thetinycast. Disclaimer: It took me more than one shot one take to get the timing down. It’s not perfect but it’s a close approximation to what I was going for. I’ve been listening to How to Start a Startup presented at Stanford by Sam Altman and friends. 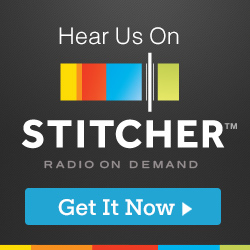 There is also an unofficial podcast feed for listening to it on the go. A few years ago Daniel Lindsley, Christian Metts and I bootstrapped Forkinit, a recipe organization and sharing site. I also wanted to thank Adam, David and Dave for their feedback and advice. We hang out on an IRC channel called #avgeek on freenode and talk about airplanes, aviation and stuff. I’ve been learning a lot about public radio storytelling and technique. There’s a page for that on the Internet: This American Life: Make Radio. It has or links off to pretty much anything you need to know to get started. One story on Transom that looks really promising is Voice Recording in the Home Studio. It walks through turning a collapsable storage box and some pyramid acoustic foam in to a portable studio. Audio Technica 897 which I incorrectly call a Shure in the show. Audio Technica AT8035 which I also incorrectly call a Shure. I’ve been producing the tinycast two different ways: usually with a script but sometimes with just a rough outline. I like the feel of the less prepared episodes more but oh my goodness do I say “um” too much! I took a look at Google News & Weather for iOS today. It came out last week but was featured prominently on news.google.com today. I’ve learned a lot about microphones over the past few days. I ended up looking closely at USB and lightning microphones that work with the iPhone, which doesn’t always provide enough power for some microphones. I looked at several native lightning microphones that were more geared towards ultra mobile like the Blue Mikey or stereo recording like the Rode iXY-L and the Zoom iQ5. The Blue Spark Digital Lightning looks awesome but is huge and oriented towards the iPad. That left me looking at USB microphones to use on the iPhone with the Apple Lightning to USB Camera Adapter. I fell in love with the Blue Yeti but it’s huge and requires more power than the iPhone provides. I ended up picking up the Samson Meteor. It’s super portable and keeps things simple. Mentioning some public radio shows I forgot last time and remembering that time I was a commercial radio DJ for a day, sort of. I’ll see if I can find the playlist from the time I was “DJ for a day” by faxing in a solid playlist to WIYY 98 Rock in Baltimore when I was in middle school. Matt recalls how radio has been a part of his life from NPR to news/talk and pop/rock. Or How a Bill Becomes Law. Matt goes over the tech and techniques behind the first tinycast episode. Bossjock Studio which is at bossjockstudio.com not what I said in the show. I’m impressed so far. The SteelSeries Siberia Elite headset in white. They just replaced these with the SteelSeries Siberia Elite Prism which you should probably consider instead. Amazon Web Services Simple Storage Service and Cloudfront content delivery network. My Volkswagen Golf studio. I have a 2013 Mk VI and had a 1998 Mk III before that. Sign up for occasional email updates, if that's your thing.